Recently The Bride surprised me by taking me to lunch at Red Robin Gourmet Burgers, the notorious home of the Bottomless Steak Fries at the Oxford Valley Mall. It made my day completely. Our waitress was Cynthia, very very nice, extra friendly and very quick service, she made this surprise lunch a delight – other than the company of course. 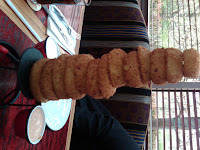 Cynthia recommended the Tower of Onion Rings (as if we weren't going to order them anyway), which she seemed to think was better than their fries. Well, she could be right, except the rings aren't bottomless, but they are hard to finish nevertheless. They are sooo good. 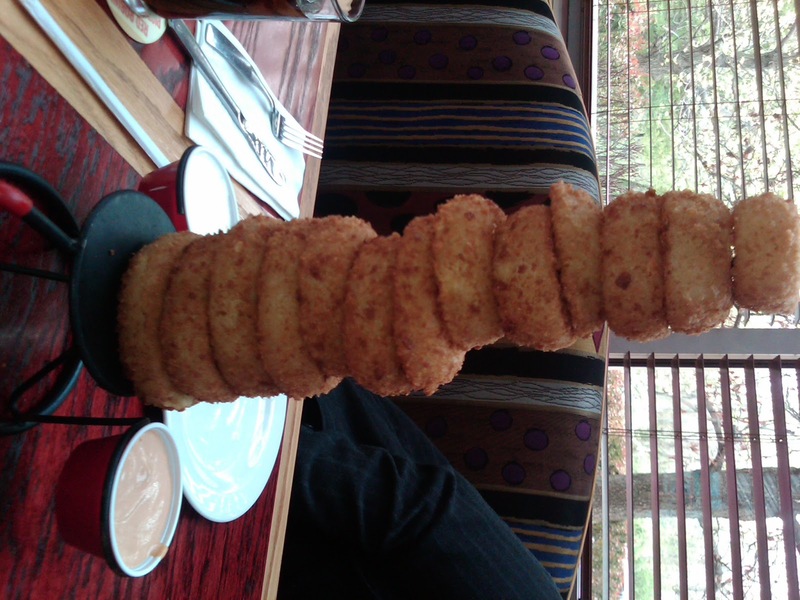 Big rings with lots of onion and panko crumb coverings, served with ranch and chipotle. And it's just amazing how they stack them up by size on the tower spindle. Yummy. 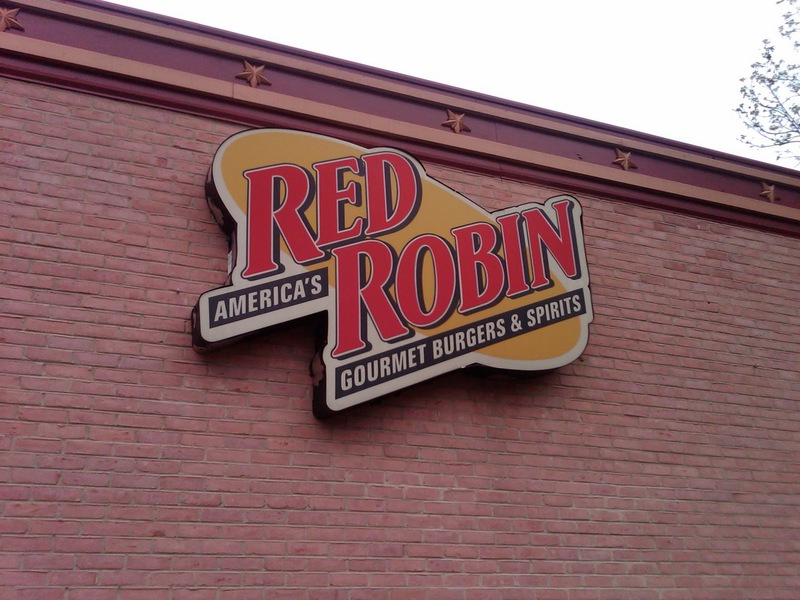 I also got a burger (of course) but pay attention, much like In-N-Out Burger, Red Robin also has a secret menu. If you want a plain hamburger with nothing on it, the code words are: Natural Burger. 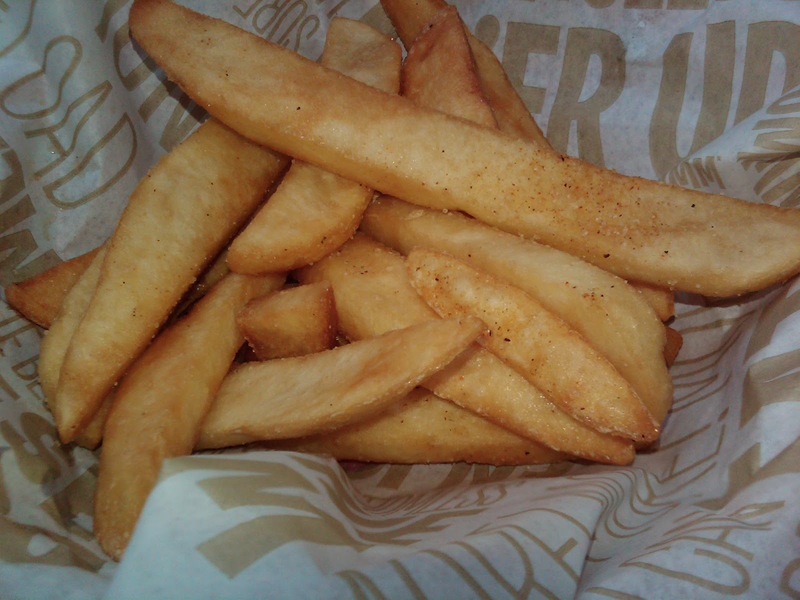 Rock on, Red Robin's (Semi-) Secret Menu. 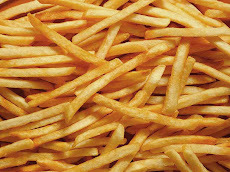 The Famous Bottomless Fries are steak fries with just a touch of seasoning – and the best part is – that they keep coming. Deep-fried crispy on the outside, hot and fluffy on the inside. If I had to have any complaint, it would be that sometimes they are just a bit too seasoned sometimes. It's a mix of salt, pepper, paprika and a few other spices, but still terrific. And nothing beats that bottomless thing – and when the refills come, they are hot, hot, HOT! Don't burn your fingers. Red Robin is the place for fries and onion rings, thumbs up for both.